In a very competitive market populated with many talented piercers, Studio City Tattoo is proud to be one of the premier Los Angeles Piercing Shops in the area. Welcome aboard to one of the best places for tattooing and body piercing in Los Angeles – Studio City Tattoo! We aim to earn your trust and give you the finest workmanship available. Studio City Tattoo & Los Angeles Body Piercing Studio is a modern facility using state of the art sterilization procedures and autoclaves to ensure the safest methods. All artists are Cal- O.S.H.A certified annually in the latest blood-borne pathogen standards for handling equipment and anti-cross contamination techniques. Our mission has always been simple from the start. We strive to raise the bar in the tattooing and body piercing community by vetting only the very best talent to pierce at Los Angeles Body Piercing, and to tattoo inside Studio City Tattoo. Having been a fixture in Los Angeles since 1992, Studio City Tattoo is one of the best Tattoo and Body Piercing Shops in Los Angeles. Our talented piercers and tattooists are the creative backbone of the shop. For years Studio City Tattoo has been providing the very best Los Angeles Body Piercing services to its customers. Our tattoo artists and body piercers are picked for their skill and good character. We create custom artwork and bring your designs to life. 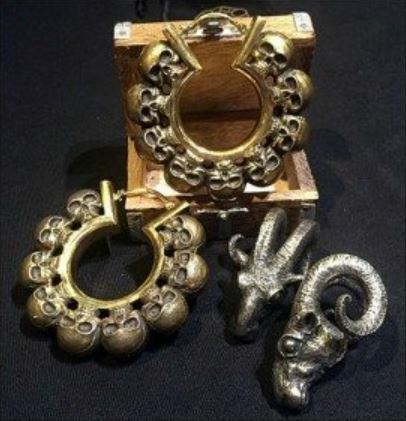 Los Angeles Body Piercing knowledge, professionalism, and jewelry cannot be beaten, stocking only the highest quality gold body jewelry from only the top manufacturers in the United States including Anatometal, Tawapa, Maya, Body Vision and Bill Wall Leather. is consistently voted number one #1 in Los Angeles County. Our mission is to raise the bar on tattoo artistry, equipment, and customer service by providing our clients with a roster of highly talented tattoo artists and body piercers alongside the latest developments in technology. Here at Studio City Tattoo we maintain a large variety of electric tattooing styles, quality gold body jewelry, and unique cutting edge products. At Studio City Tattoo & Los Angeles Body Piercing, we maintain a wide variety of tattooing techniques and styles, quality gold body jewelry, and unique cutting edge piercing aftercare products. We are consistently expanding our inventory to keep up with the latest body jewelry styles, fashions, and trends. Every customer that walks through our Los Angeles Piercing Shop receives a personalized evaluation of their piercing needs so that every experience, every tattoo, every piercing, is not only a work of art but a treasured memory. If you don’t look good, we don’t look good! Stop by and see for yourself why so many discerning individuals have brought us their repeat business since 1992 A.D.